livestock farming without slaughter, is that possible? An increasing number of people reject killing of animals for human consumption or for covering everyday material needs like leather, wool, etc. Many vegans and vegetarians prefer organically grown products. However, these too are mostly fertilized with manure from animals which are slaughtered or pellets from horns and claws used for fertilizing. In this respect, a vegan diet is often still chained to the killing of animals. 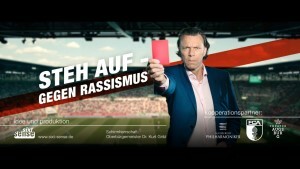 Lebenlassen e.V. promotes and end to this eternal cycle of rearing, use and slaughtering of animals. But what would the consequences look like? A life without cows, pigs, sheep and chickens? How would our landscape change? Or could there be a "third way" in agriculture - the use of animals and animal products without animal suffering? According to Lebenlassen e.V. a possible approach to this could be the termination of offspring. "For millennia, the so-called farm animals have accompanied the history of human culture. Let's give them their place at our side, not to slaughter them, not to pay the cost of living with their blood. Let's take their manure for soil improvement as a gift and give them back love and gratitude for their services to our cultural development! " "Rebels of peace - Sacred Activism & Political Action"
Activists against the destruction of nature and quality of life are increasingly calling for fighting for the "sanctity of life". 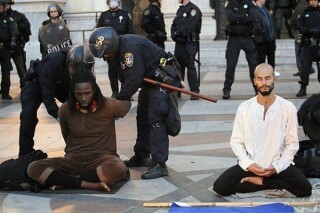 Politicalecological resistance thus gets a spiritual component, which also changes the form of the protest. The first 'Sulzbrunner Symposium' aims to address this new form of international protest that symbioses two essential humanist approaches: the search for ethical and spiritual values that will determine our actions, and the active resistance to the destructions that the industrialized growth society has inflicted on the organism of earth, which we might call Gaia. These combined approaches include the synthesis of inner potential and consciousness development with the critical-political analysis of current political developments. The aim of the symposium is to combine the approaches of inner growth and political action in such a way that the commitment to a sustainable world is strengthened. What deep ethical values do we need for a future culture? How to overcome the brainwashing of materialism and constant growth? What step do the religions have to take to preserve the creation? What can value based activism look like? How is activism sustainable? Which methods promote resilience? What new forms of action does civil society need? What is ‘sacred’ in Sacred Activism? Special emphasis should be placed on inviting theologians, indigenous people, priests, mystics, spiritual activists and ‘change-makers' focussing on a formation of collective spiritual and ethical values for a life-enhancing future. "Preservation of the Anklamer Stadtbruch"
East of Anklam lies the "Anklamer Stadtbruch", a wide swamp between land and sea. Sea eagles, crane, wryneck, dwarf flycatcher, carmine bullfinch and spotted peacock live here completely undisturbed from people on almost 15 square kilometers, Due to its size and impassability, the "Anklamer Stadtbruch" is one of the few real wilderness areas that Germany still has to offer. Black-necked grebe, common tern and black tern, northern geese, beaver, otter, moor frogs and the highest density of white-tailed eagles in Germany are at home here. 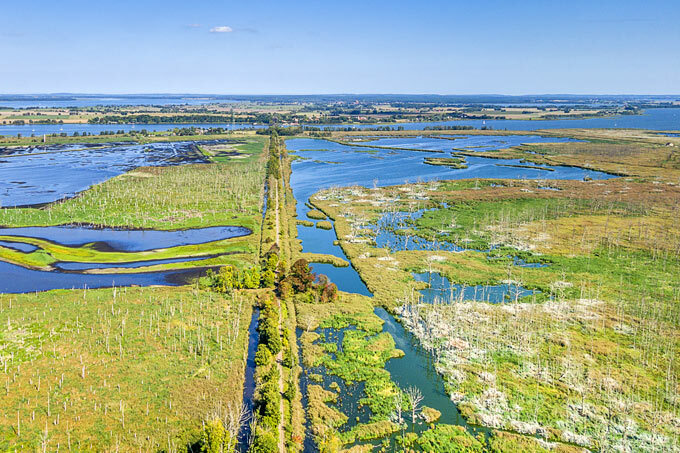 Unimaginable 1,360 hectares of this nature's most valuable wilderness are now sold by the city of Anklam. The NABU Foundation National Heritage wants to seize this unique opportunity and acquire the land in order to preserve it forever. "open sewing workshop for female refugees"
The Bellevue di Monaco is a social cooperative that operates a residential and cultural center for refugees in the center of Munich. The houses serve as a place of education and meetings with a focus on integration and international understanding. In one of the common areas of the Bellevue, a sewing workshop for refugee women is offered weekly for two hours. It gives women the opportunity to be sheltered, to recover from exertions and stressful situations and to help themselves in a practical way by sewing or repairing their clothes. They are professionally and empathically looked after by an art therapist, receive material, technical guidance and an open ear. Overcoming the fear of leaving their accomodation and getting into the sewing workshop is an important step towards independence and leads to a stronger self-confidence. 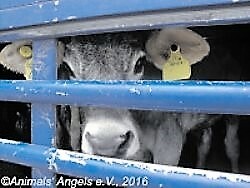 "we are there with the animals"
The bedrock of Animals’ Angels’ work is their solidarity with suffering animals. At the centre of their beliefs stands their motto: "We are there with the animals. That is the source of our dedication and our strength." Animals’ Angels is internationally regarded as a well-qualified specialist organisation with a high ethical profile, known to official bodies, political groups and the haulage industry as well as to other animal protection organisations. After 15 years of activity they have gained extensive knowledge of the field and expertise. Their teams conduct on-the-spot investigations at slaughterhouses, ports, holding areas, border control points and animal markets and they are constantly on the road, following the transport lorries. The documented results of their missions - reports, photographs and video footage are handed over to relevant authorities and used to lodge judicial complaints, make reports to the police or instigate further legal measures. Their information is accepted as reliable and serious. Animals’ Angels is in constant touch with veterinary authorities, the police and influential political decision-makers in Europe and beyond. As a result, they can negotiate in the name of animals at the highest level. Because the welfare and dignity of our fellow creatures, the right to an unscathed and happy life is a primary concern of the "Intersein Foundation", we promote the work of Animals' Angels throughout the year. More and more peasants are farming without glyphosate, keeping their animals in an appropriate manner and feeding them gmo-free. More and more people are practicing foodsharing, are part of a solidary agriculture and opt for good, organic food from the region. Subsidies only for environmentally friendly and climate-friendly agriculture, public money only for animal welfare and more support for small and medium-sized agricultural businesses that produce good food for all of us. project peace is a year long transition program for German speaking young adults aged 18 - 25 about peace, sustainability and cultural innovation. 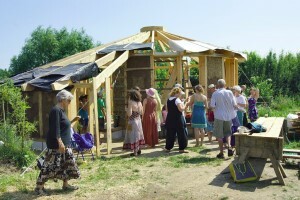 With the support of the facilitation team, inspiring workshop leaders, the eco-social farm "Gemeinschaft Sulzbrunn" (project location) and a network of worldwide volunteering placements the participants get the opportunity to both theoretically and practically involve themselves into the topics of peace, sustainability and cultural innovation. During their first module of the training the group will undertake a peace journey to attend the international peace week in Sanki Most, Bosnien. Throughout the week concerts, film screenings, and inter-religious meetings will be organised. To further the mission of peace and tolerance, the centre for peacebuilding in Sanki Most also host workshops and seminars on topics like peacebuilding, dialogue, and reconciliation. "My body is no battlefield"
medica mondiale is a non-governmental organisation based in Germany which stands up for women and girls in war and crisis zones throughout the world. medica mondiale supports women and girls having experienced sexualised violence, regardless of political, ethnic or religious affiliation. Together with women from around the world, medica mondiale is committed to helping women to lead a dignified and self-determined life. Every day women and girls around the world are being raped, tortured, kidnapped and enslaved as part of wars and conflict. 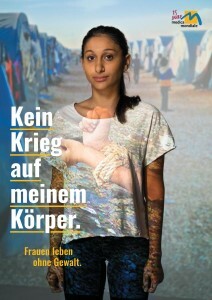 The new campaign "My body is no battlefield" from medica mondiale aims to draw attention to these violations of human rights and to demonstrate how women in war zones can be protected. With the support of the organisation "Action for World Solidarity" many self organised gardens arise all over the world. They do not serve merely the food supply but offer women a space to gather, exchange knowledge, share experiences and learn about their rights. Through micro-credits the women are enabled to sell their products and strengthen their economic situation, which increases the value of their status in the family and can hereby protect them from domestic violence. Buddhist studies is the fastest growing sub-discipline of religious studies in the world. The ongoing encounter between Buddhism and contemporary Western societies has already left a lasting mark on both parties, as happens in any open dialogue. Buddhist influence on Western culture is noticeable in many areas, the main intersection with Buddhism so far is found in the secular fields like neuro sciences and psychology, where mindfulness and meditation are increasingly applied. At the same time, arriving in the "West”, Buddhism has been confronted with the values of European enlightenment and human rights, articulated within the paradigms of Judeo-Christian culture. To explore these dialogical processes, the International and Interdisciplinary Conference "Buddhism in Dialogue with Contemporary Societies” brings together 20 outstanding scientist as well as representatives from the three mainstream traditions of Buddhism to address such questions as: Does Buddhism matter today? Can the teaching and practice of Buddhism enrich the world today? If so, what would this contribution look like? How far can Buddhism give impulses within the areas of peace work, social justice, applied ethics, mindfulness and psychotherapy? Where and to what degree can and must Buddhism adapt to its new context? What is considered to be the core teaching or practice that cannot be subject to revision or adaptation? To ensure a successful academic outcome of the conference, the first two and a half days will be dedicated mainly to listening to the presentations, followed by an intensive exchange with the speakers, respondents, and faculty. In the afternoon of the third day, preliminary results will be summarized and discussed with the interested expert audience. In everyday life it is often completely overlooked how people of different origin are already an integral part of our society. The quality of a group consists of the skills and talents of the individual and of a precisely coordinated togetherness. In the spot, the power of a functioning team is exemplified by an orchestra, a ballet company and a football team. And also how it would be, if all foreigners were removed. It is important to the Augsburg filmmaker Stefanie Sixt, with the means at her disposal, to raise awareness of an urgent topic, to stimulate reflection and thus to contribute to more tolerance, compassion and peace. The destruction of the rainforests is one of the world's central environmental problems, caused amongst other things by massive agricultural use like the creation of palm oil plantations. 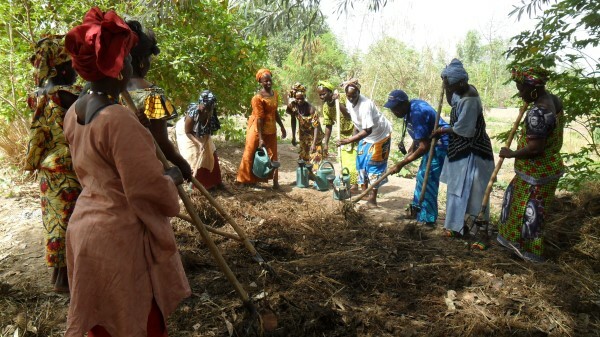 The ASW partner organization FASE helps local farmes to renounce these practices by training them in sustainable agriculture. 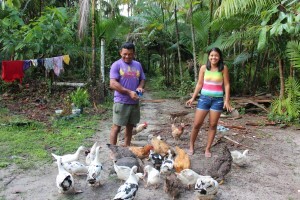 Jointly they develop environmentally friendly tillage, permaculture and ways to marked their products so that they can earn a living and protect the rainforest at the same time. "Kanthari" in Trivandrum, Kerala, South of India, is an accredited international institute for social visionaries. It offers a 7 month, scholarship based leadership program for people, who have overcome adversity and who are keen to drive ethical social change anywhere in the world. Through intensive training, kanthari equips participants with all the techniques, methods and ideas they need to start up and run effective, relevant social or environmental projects all over the world. Since 2009, 160 social change makers from 38 countries were trained at kanthari. This has already resulted in more than 125 social initiatives and organisations that are making a positive impact in the lives of thousands of people within their communities. We want a food policy that promotes regional and sustainable food rather than industrial mass production! In mega-barns and slaughterhouses, the meat industry continues to trim animals for profit. But pigs, chickens and cows need straw, space and grazing land. The "always bigger" and "more intense" drives farms into ruin. 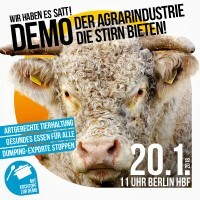 We want an end to subsidies for the agro-industry! Germany's government must support a form of animal husbandry that puts animal’s welfare first! Aggressive export strategies and failed agricultural policies are ruining farmers around the world. Instead of hedging corporate interests with free trade agreements, we need secure access to land, water, seeds and food globally. We want an end to dumping exports, more support for peasants' rights and real change in farming at the global scale! On January 20, Germany's government is inviting agriculture ministers from all over the globe to the world's largest agricultural fair: Berlin's "Green Week." 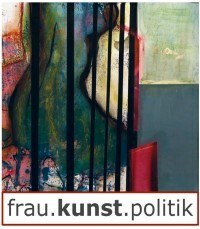 Being the host of the International Agriculture Ministers’ Conference, Germany's government will be in the public eye. It's the perfect moment for us: While inside they want to decide about our food and farming, we will be outside to pressure for real change. Our proposals for a new food and farming policy are on the table. But: Germany's new government will only act if and when our protest in the streets becomes impossible to ignore. So grab your cooking pot (and a pair of earplugs) and join us to make noise for good food and farming - here and all over the planet!" The International Youth Initiative Program, YIP, is a societal entrepreneurship training, offering a holistic educational program that promotes an expanded global and personal awareness. YIP aims to strengthen young people’s capacity to take initiative in the face of current global challenges. In times of climate change, human influence on the planet becomes more and more obvious. Present generations are the first to realize the immense influence of humankind on the climate, as well as being maybe the last ones who can prevent the climatic conditions for life on earth to change fundamentally. And while technology, economic development and the lifestyle that led to this situation evolved over the past centuries, it is now only within some decades that humans are realizing this new situation and at the same time have the chance to take decisions and to act. Various spiritual and religious traditions are already finding ways to perceive the relation between humans and animals, plants and minerals surrounding them. In which ways do the different approaches conceptualize human relation with the Earth? What is the potential of spirituality in the anthropocene? In form of which practices, ceremonies or art projects do the different approaches reflect on and engage in the relationship with the earth? And what practical and political consequences do they derive? In a three day symposium, we will ask how ecopsychology and ecophilosophy analyze this particular point in time, and how humans can deal with this situation. March 2017 traveling exhibition "Solidarity with female refugees"
March 2017 "House of Silence"
Construction of a meditation-house with straw and clay accompanied by educational seminars in the eco village "Sieben Linden"